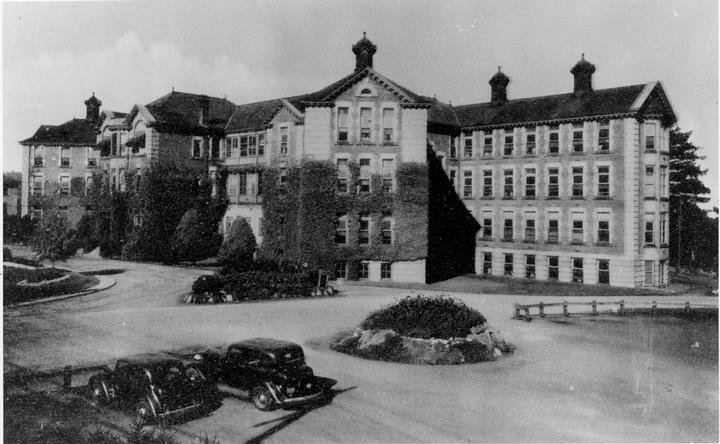 A summary of Royal Columbian Hospital’s history can be found on the Royal Columbian Hospital Foundation’s webpage. The first Royal Columbian Hospital was located on the corner of Clement (now 4th Street) and Agnes Street was opened on October 7, 1862. 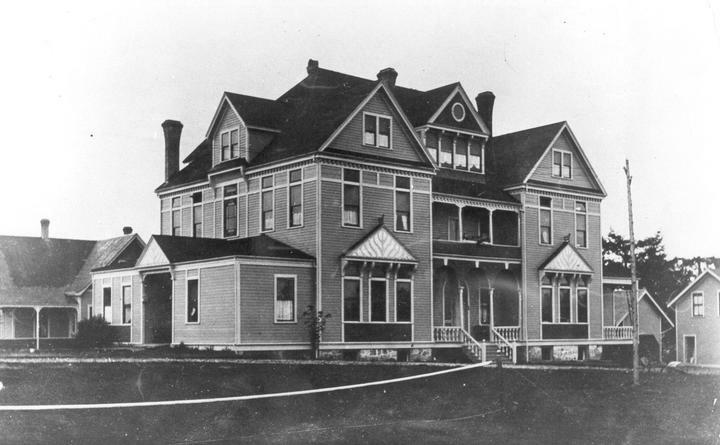 In 1889, the hospital moved to its current location in Sapperton. The building was expanded in 1912 and again in 1950. In 1978, the Health Care Center was opened. In 1992, Columbia Tower was built to replace the 1950 building.. 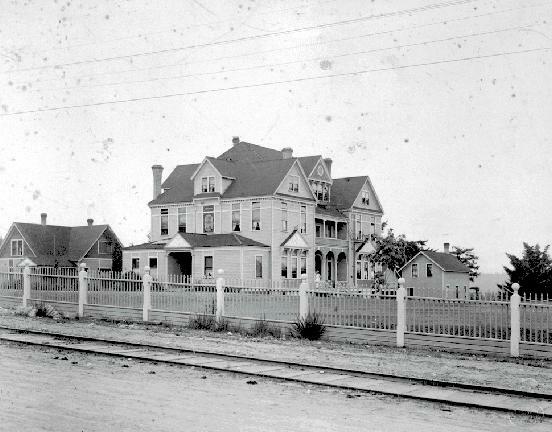 This is a view of the original Royal Columbian Hospital at the corner of Clement (now 4th Street) and Agnes Street . 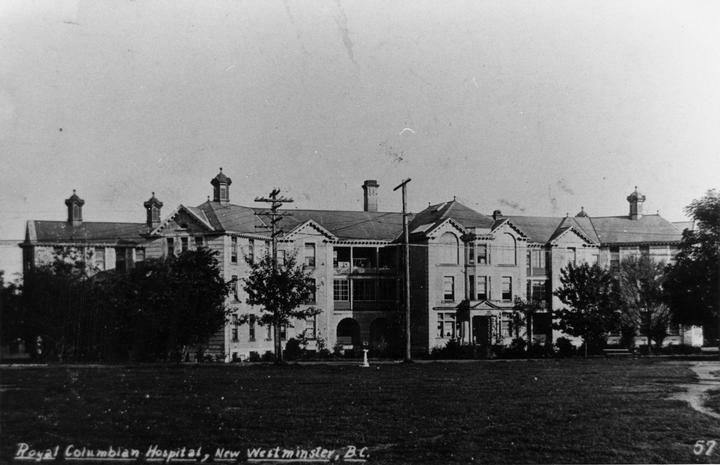 From The New Westminster Heritage website comes this interesting old photo of Royal Columbian Hospital, taken about 1903. Information: “1889 – when hospital first moved to Sapperton from Agnes Street”. The hospital as it was first built in 1889 had a different roofline: there was an extension of the attics in 1903 to allow for extra rooms. 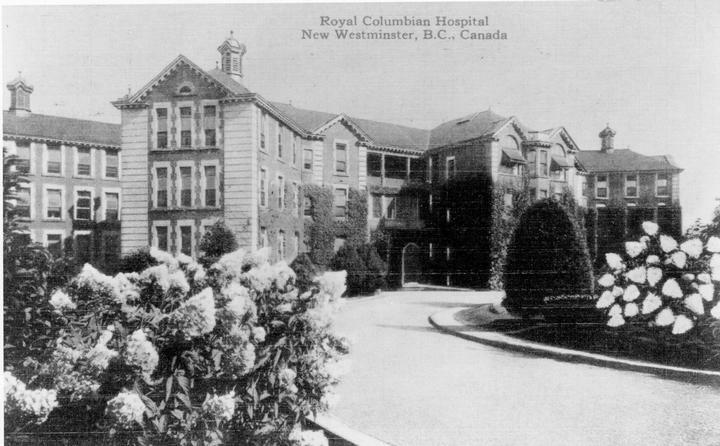 This is another angle of the Royal Columbian Hospital from the BC Archives website. This photo was apparently taken between 1900 and 1910. The rail line in front of the fence goes north up East Columbia Street. You will note the same roofline as the previous pictures, therefore it was taken post 1903. The following are views of the 1912 wing of Royal columbian Hospital. 1912 Wing in its early years – c.1915. 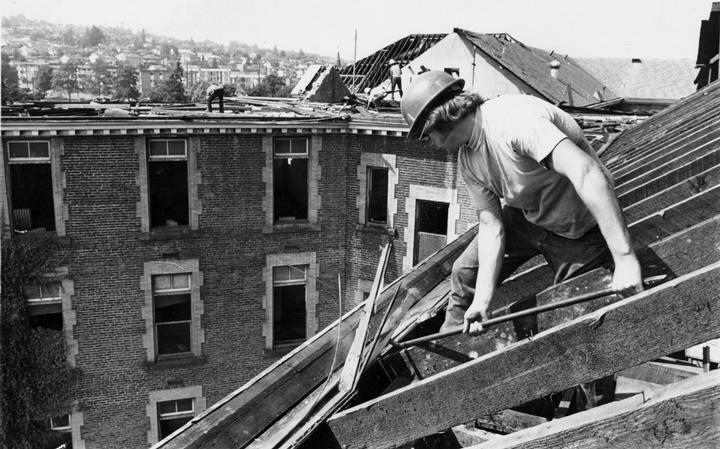 In the August 1972, the 1912 wing started to be demolished to make way for the new Health Care Center, which opened in 1978. 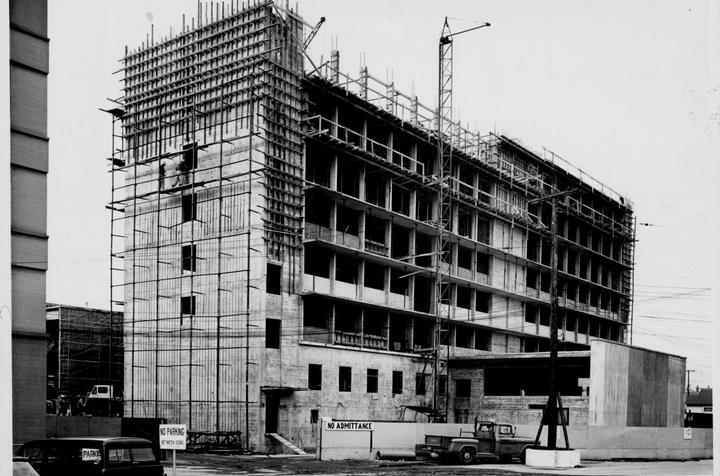 Health Care Center being built. 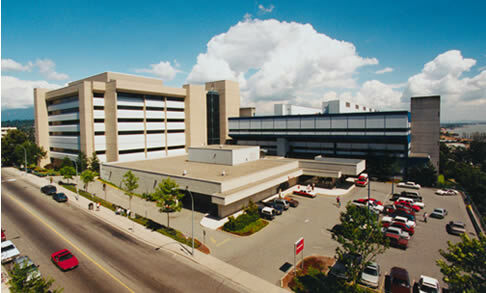 This is a current view of the Royal Columbian Hospital emergency entrance.